A bomb squad and a hazardous materials team have been deployed to the Indonesian embassy in Canberra, Australia, after staff received a suspicious package containing “white powder”. ACT Policing is responding to reports of a suspicious package located at the Indonesian Embassy in #Yarralumla. HAZMAT in attendance. An embassy spokesman told AAP they received the package on Monday morning around 10:50am local time and immediately called the authorities. A hazmat truck, four fire tankers, and several police cars responded right away and have cordoned off the surrounding area. As police proceeded with the investigation, the building was on lockdown, with staff prevented from being allowed to move around the building freely. As part of the investigation the package has been transported to Australian Capital Territory (ACT) Health for analysis. “The suspicious package has been contained and will now be taken to ACT Pathology at Canberra Hospital for analysis. Roads are now open,” police said in a statement. 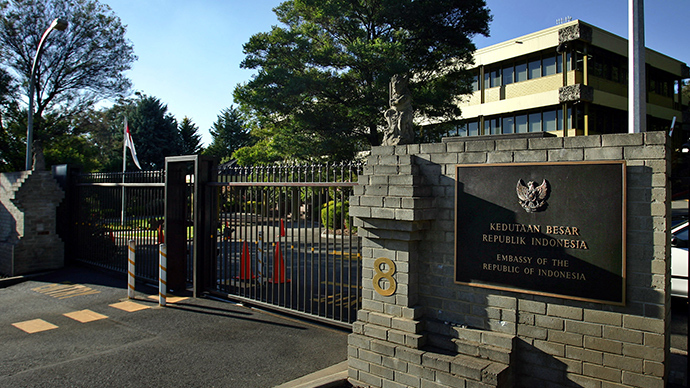 The embassy has reopened after being on temporary lockdown after authorities removed the package.